A web app is an application that runs directly on your web browsers, such as Chrome, Safari and Firefox. Every day we use our mobiles, laptops and computers but never even tried to notice how we connect to the whole world using them, what are the software or applications that allow us access to all these devices and connect to others? When a web browser is used as client enabling the execution of the software or applications that is coded in a browser-supported programming language, it is referred as web app. Pervasiveness of web browsers and their handy nature as a client has made them to gain popularity and position in our lives. A native app (such as apps you download from Apple app store or Google Play) is installed directly and works independently of the web but limited by the compatible devices. You can’t run an Android native app on your iPhone and vice versa. A web application can be used in conglomeration with various devices. It works via web browser with an internet connection and has no access to integrated hardware. Web apps are run on common browsers that can be accessed on most web-enabled smartphones, so device-specific customisation is much simpler from a developer’s point of view. Web apps have traditionally represented a secure disadvantage particularly when roaming data across countries. Server dependency and misgiving through bandwidth can be other concerns. With the development of web technology and cloud storage, the functional difference between native apps and web apps are getting narrower everyday. For education, web apps can allow you to manage assignments, share documents, getting lecture slides and other useful resources. Flexible courses with tests, wikis, forums, documents and tasks can be designed in an interactive manner with web apps. Google pioneers in the area of developing and promoting web apps. Google launched its Chrome Web Store (web apps and Chrome extensions store) in 2010. And in 2011, Samsung brought the first Chromebook PC to the market. Chromebook runs Chrome OS operating system, which uses mainly web apps instead of traditional software installed on the machine. TouchApp have developed a series of widely compatible popular free educational web apps. A good example is “Cal Concentration”. 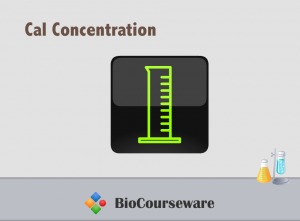 It helps the students to understand the key concepts of chemistry concentration and also provide useful tool to calculate how many solutes are needed to get the target concentration (w/v, v/v, molarity or dilution). Cal Concentration web app is mobile compatible as well. This entry was posted in Education, Technology and tagged educational app, online education, web app on September 23, 2013 by touchapp.